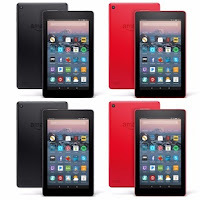 Deal Shopping Mama: QVC: Amazon Fire 7" Set of 4 Tablet w/ Custom Cases & App Packages- $150!! QVC: Amazon Fire 7" Set of 4 Tablet w/ Custom Cases & App Packages- $150!! WOW! What a Hot Deal over at QVC!! 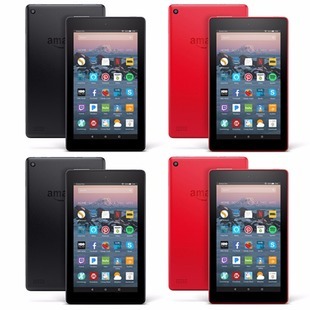 Right now you can pick up a set of 4 Amazon Fire 7 Tablet with Custom Cases + App Packages for only $149.95! That comes out to $37.49 for each Tablet plus case!! I bought my Amazon Fire Tablet when it came out a few years ago and i loved it and still do! You'll also receive a voucher for each tablet to get a free customized case (including free shipping) from Caseables, which are normally $29 each.